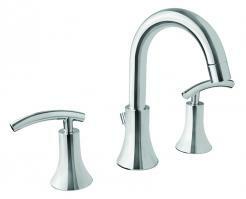 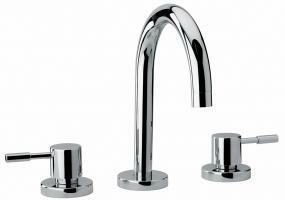 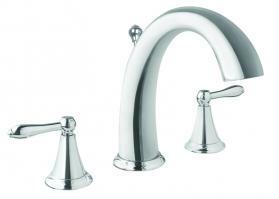 Dimensions: Overall Height: 11.98"; Spout Height: 7.5"; Spout Reach: 6.3"
The high arched spout of this faucet leaves ample room for many uses in the sink with this three piece set. Two squared handles control water flow and temperature. 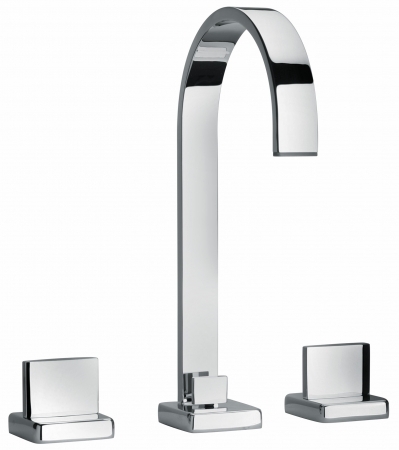 This model is available in a wide variety of finish choices to best match the bowl, vanity and the room dÈcor.